Jack Carman: One of the most rewarding things, for me, personally, is going back to see how the garden is being used. To see how they are enjoying the garden. And what they are doing in the garden. Because, the bottom line is – it is their home. The garden is theirs to use. The garden needs to be programmed, just as any other room in the house is programmed. There are meals a certain time of day. The garden is the same way. What are you doing with the garden? Is it a birthday parties, educational sessions, special events, holiday celebrations? We need to focus on the garden being used continually. And not just during the day. 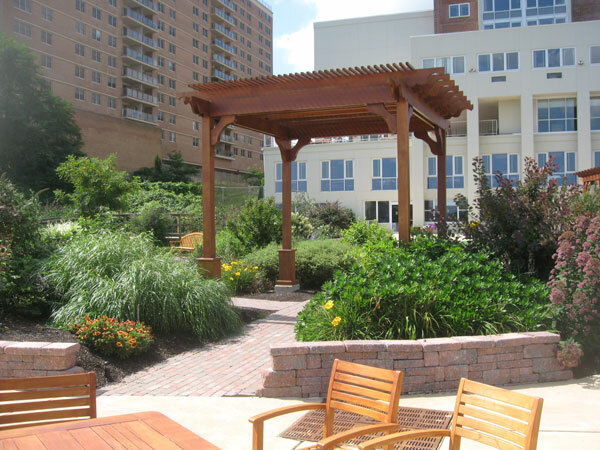 We have gone back to gardens, as an example, a (therapeutic) garden in north-east Philadelphia, and because of the low-voltage night lighting in the garden, the care staff are having a bar-b-que at 11:00 at night. Because that is when they are there (and have a break). Having the ability to take someone outside because they cannot sleep. The breeze on a person’s skin and the night-time sounds of crickets, helps them relax so they can go back to sleep. Think of all the different ways we use our own gardens and apply these concepts to Therapeutic Gardens.